Sports Vision - What is it? How you see impacts your performance. 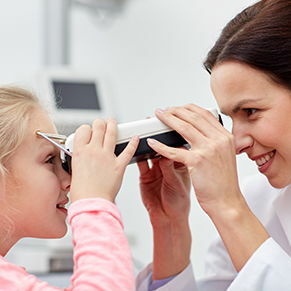 Schedule a comprehensive eye exam for optimum vision for your sport. Is your vision limiting your potential? No matter who you are, where you come from, we are all ATHLETES! Sport & Sun @ 20/20 Vision Associates is dedicated to your bringing out that INNER ATHLETE for a healthier, happier and more balanced life! We are committed to building better ATHLETES through better VISION! Sport & Sun offers a full line of performance eyewear as well as lifestyle options to fill ALL your outdoor needs. We also offer a state of the art training facility geared toward enhancing your vision so that you can compete at the highest level possible! You don’t have to be a professional athlete to enjoy better vision while playing sports or achieving your personal fitness goals. You don’t have to be a professional athlete to want a competitive edge in whatever sport you enjoy playing. 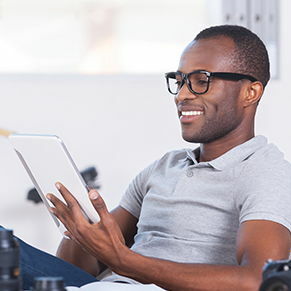 Everyone, from those who compete and call themselves “athletes” to those who just want to be healthy and fit into their favorite pair of jeans, can benefit from optimal vision and visual skills. We hope to show all our patients, athletes and non-athletes alike, that they can enhance their visual skills through the proper training and visual tools in order to be more competitive on the field and feel great at the end of the day! "The staff was friendly helpful from making the appointment to leaving with glasses. I took my 14 year old daughter for new glasses and right away the staff at the front desk were friendly. The facility was clean and welcoming. 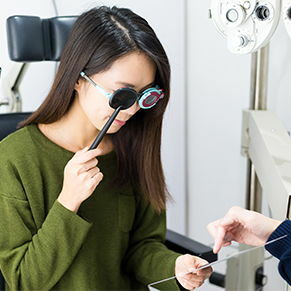 The optometrist provided the most thorough eye exam I have experienced in 40 years, all the while explaining everything in a very professional yet friendly manner. Last, we were assisted by Richard, the dispensing optician in selecting frames and lenses. He was able to help us with such a great deal i bought 2 pairs for my daughter and they were able to finish both pair in less than an hour. Awesome. Richard is also a very funny and friendly person to talk with while selecting glasses. This place is loaded with helpful, kind people and i recommend them to anyone and everyone."" ""Friendly, knowledgeable, seems to care about you and only you when working with you."" "I've been going to 20/20 for over 20 years. 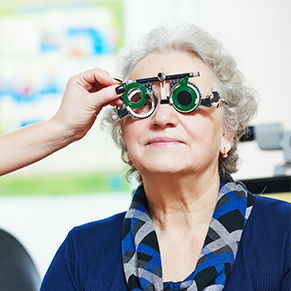 Dr Everett is who originally diagnosed me with my vision issues and continues to work with me on my ever changing vision needs, sometimes seeing me multiple times a year. I won't go any where else as long as shes here. Richard is also a great optician, I'll wait however long it takes to see him over anyone else." "Dr Kim was outstanding and caring. We will be back." "My son had his first eye appt today, he is 4 years old. I was a little nervous how he'd do but the staff was SO WONDERFUL! He had such a fun visi. Thanks Dr Everitt!!!!" ""LOVE THEM! Have been with them for as long as I can remember. At least 15 yrs. Dr. Eugene Kim has always been my optometrist and I love that he remembers the little things about my life that I tell him. I appreciate the personal touch that this practice provides."" ""Gave excellent one on one service. I've complained for years about problems I've experienced with other doctors and they were able to run additional eye tests and actually able to find why I have been experiencing the problems I've been complaining about! They also have an AWESOME amount of frames to choose from!""